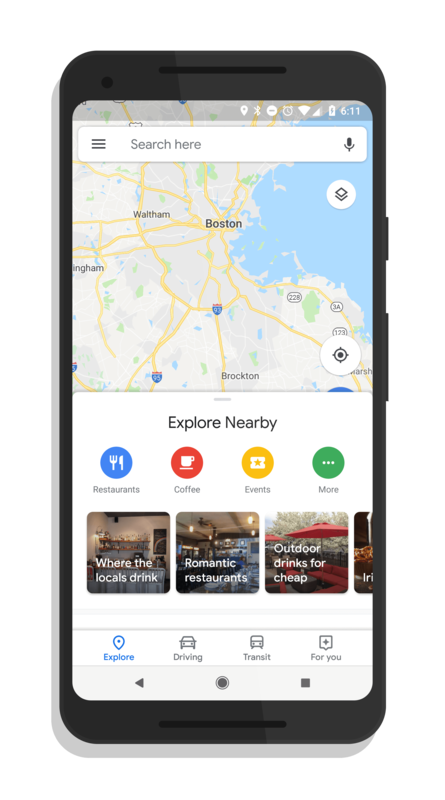 After slow rolling out to a few accounts over the past week, the Material Design makeover of Google Maps is now broadly rolling out. 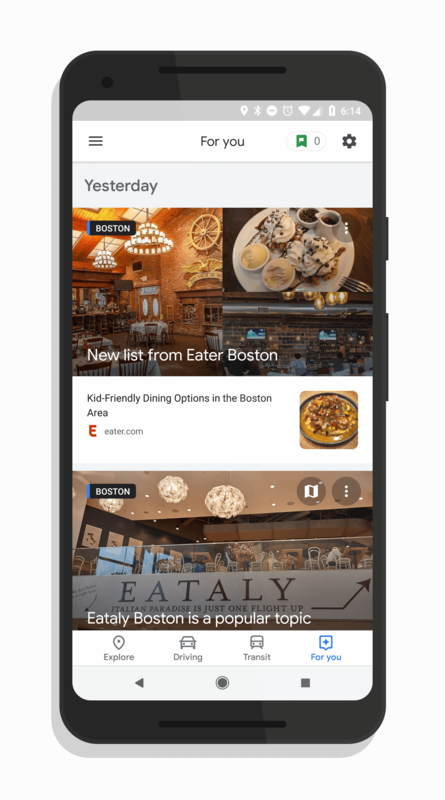 The updated look and feel of the app brings a fresh new look to one of the most widely used apps from Google and also brings it in line with the Material Design makeovers the company has been doing on their apps in general. The update is a combination of an app update and a cloud side update. First, make sure you have the latest Google Maps version on your phone. That is version 9.80.2 and it was released a few days ago. Chances are you likely have it but double-check. Assuming you have that version, then it is just a matter of when Google does the cloud-side push to your account to enable the new look. As a fan of Material Design, I find this new look of Google Maps to be very satisfying. It is bright with large carousels and icons to easily navigate around to find key things like restaurants and events. You’ll also notice the new For You tab. This allows you to select areas or cities that you frequent to get events that are upcoming, or to get suggestions for places to eat or have a drink. It is something that you control and you can have it just be for the area you are in at the time or you can have it for selected areas. Maps will give you suggestions on areas based on your travel history. Beyond the For You tab and the Material Design elements, you aren’t going to find a whole lot new in this update to Maps. This update is all about the look and feel and bringing more personalized information to you in the navigation app.